If only a pile of wayward curls and the inability to stay on her feet were seventeen year-old Foster Kelly’s most pressing concerns. Unfortunately, stubborn hair and clumsiness are just the tip of it. At the age of five when Foster is told, “You don’t belong here,” it was only a mistake, but the result is one broken heart. These four carelessly spoken words have shaped and shadowed Foster, and now—a senior at Shorecliffs High-school—she seeks the wallflower’s existence, denying herself the most casual of friendships, much too afraid that someone will see what she believes is certain: she does not belong anywhere—or with anyone. This reality would continue to suit her just fine; however . . . Love has a long-standing history of undoing broken hearts. Like a comet, an unexpected arrival knocks Foster out of the crowded, starry sky, sending her directly into the limelight. Exposed and afraid, she will attempt to regain anonymity; but it isn’t so easy now that someone is watching. He pursues this shy enigma, confronting Foster’s deepest fears head-on, and in the process falls wholly and completely in love with her. But there is something he is not saying . . . a secret capable of certain ruin. Either he will break her heart once and for all, or he will heal it. In the end, though, it is Foster who must decide if she is worth mending. Awakening Foster Kelly by Cara Rosalie Olsen is one of those novels that never in my wildest dreams would I have predicted to have such a valuable message at its main core. It took me awhile to really get into the novel, but once I did, I was happy to have had the opportunity to read it! Our main character, Foster, is a senior in high school who tries her best to blend in. She's clumsy, awkward, shuts people out, has a killer singing voice and can't see how special she really is. She lets the mean girl in her music class bully her, gives people the benefit of the doubt (even when they don't deserve it) and has a big heart that she unfortunately chooses to keep hidden from people. One of the reasons I loved Foster as a character so much was because I think in some way, shape, or form, we all can relate and identify with her insecurities. It's a struggle for Foster to change her way of thinking and let herself actually be seen and in the spotlight. Her self doubts act as a major roadblock in her journey, and seeing Foster's slow transformation as she overcame them was inspiring. Dominic is a new guy in Foster's school who's been assigned as her partner for an assignment in her music class. Seeing as both of them are incredibly talented musicians, their pairing seems like the perfect fit. However, Dominic and Foster's first encounters with one another are far from delightful. Dominic at the beginning has an unexplainable difficulty being around Foster, but as the novel progresses, his feelings change and suddenly the two of them begin to fall in love. 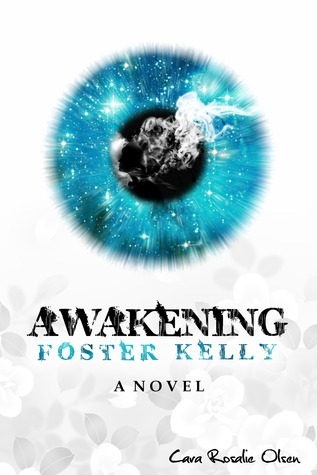 Awakening Foster Kelly at first seems like just a love story, but it's so much more than that. Dominic isn't just some guy that gives Foster some attention. He sees through Foster's doubts about both herself and his feelings for her, and pushes her to see herself in a new, more confident way. He essentially sparks some life into Foster, creating a relationship that is so much more meaningful than one may think. The direction Cara took Awakening Foster Kelly was completely unexpected, but in doing so, brought something so unique and beautiful to the story. I think it's only when you reach the last page that you truly see how this novel isn't just a romance, it's a story about accepting and loving yourself despite the flaws you think you have. I recall sitting in silence after finishing Awakening Foster Kelly and simply going over all of the things I learned while reading Foster go through this journey-- they are lessons I'll apply to my own way of thinking in the future. Despite all of its positives, I did find Awakening Foster Kelly to be a bit on the lengthy side. Whenever a novel reaches over 500 words, I always worry it won't be able to hold my attention, and unfortunately, Awakening Foster Kelly did at times do that. I'm someone who reads a novel in a short amount of time, but for someone who doesn't read as rapidly, I can see how its length could both start to lose people and distract them from seeing the amazing message this story has. I did come across a fair share of spelling and grammatical errors that although noticeable, didn't interfere too much with my ability to read the story. However, that being said, if errors such as these effect you while reading, I'd approach this novel with caution. "And tonight," he continued, "when you walk out on that court to sing the National Anthem, I want you to think of that heart. I want you to believe in you the way I believe in you. Believe that you are, to me, my angel." "You are-" He paused, smile of derangement pulling tightly along the outsides of his lips. "UGLY!" he roared. Emily laughed so hard that her eyelids were nothing but puckered wrinkles. "Jake," she said, spurting laughter, "you do know that we're twins, right?" Overall, Awakening Foster Kelly is a novel filled with romance, self-love, quirky secondary characters that will make you laugh, and an ending that will leave a smile on your face. The loveable characters, unanticipated ending and beautiful message are what made this novel for me. If you're ever looking for a novel that will make you take a deeper look at yourself, then I recommend taking a look at Awakening Foster Kelly. Have you read this novel? What is a novel that's made you really think recently? Be sure to let me know in the comments below! Keep Reading!